come with a cole’s blaster bike and a ghost dragon. 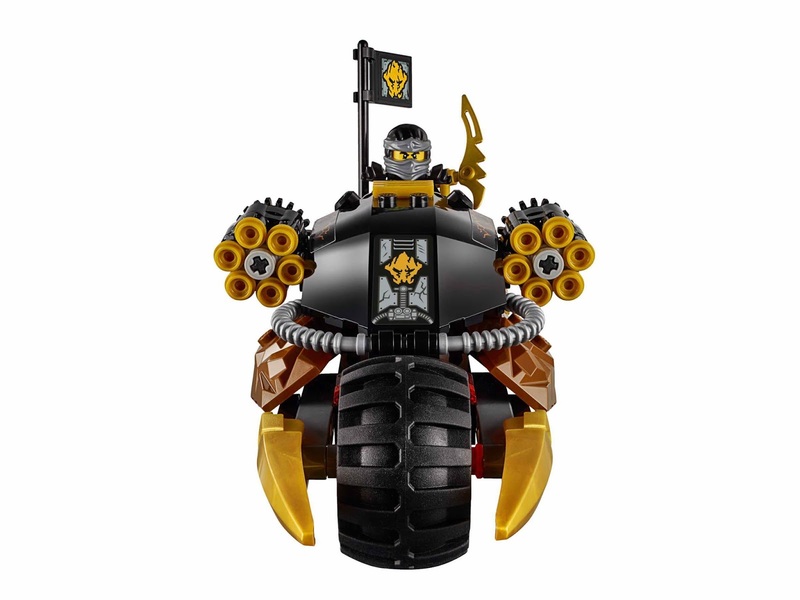 the bike has 2 foldable rapid shooters, big wheels, 2 golden exhausts and a flag with ninja details. the dragon has movable head, wings, tail and a saddle. weapons included cole’s deepstone scythe, cowler’s ghost blade sword and the aeroblade. 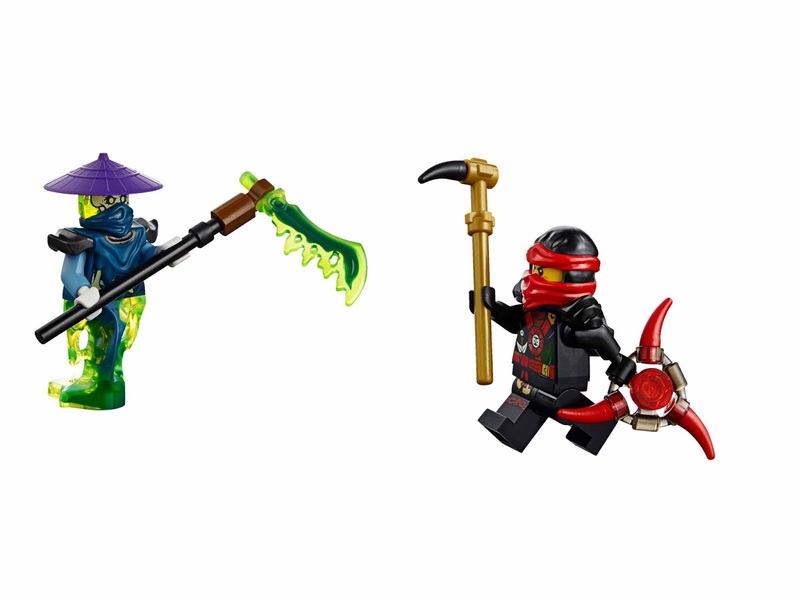 minifigs included a cole minifig and a ghost warrior cowler minifig. 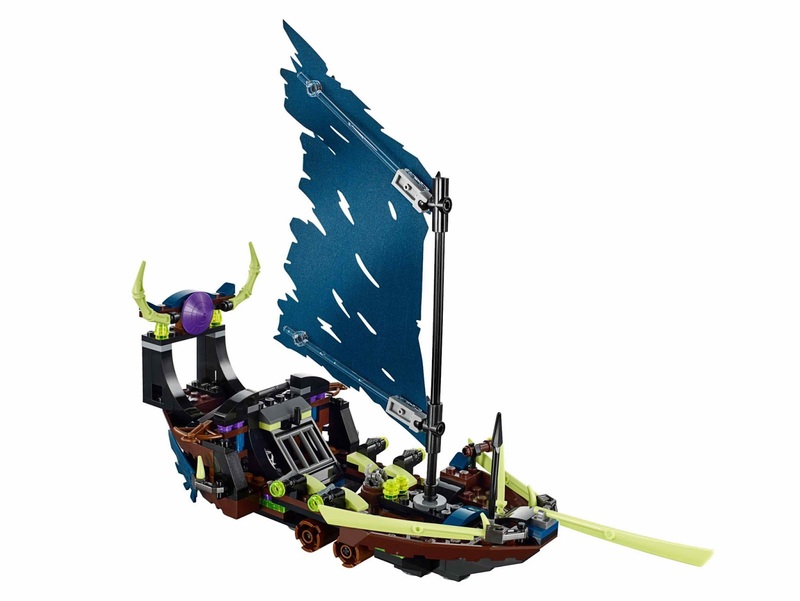 come with a temple, a ghot ship, an outpost and a nya’s speedboat. 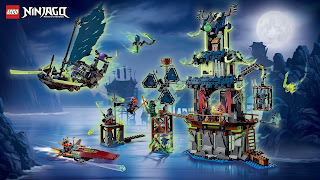 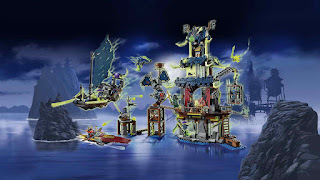 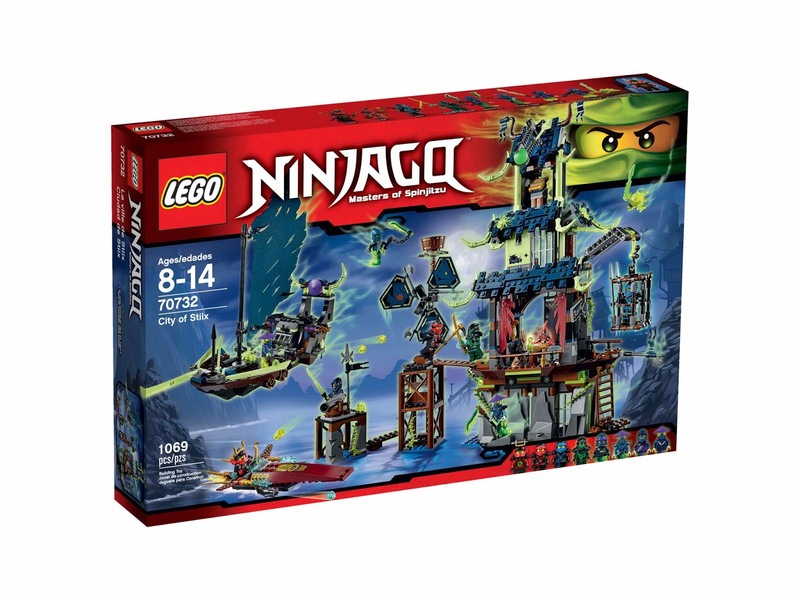 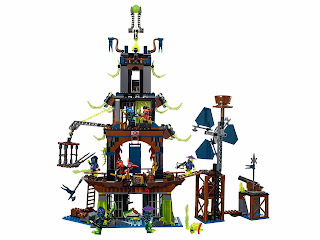 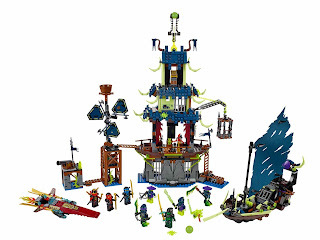 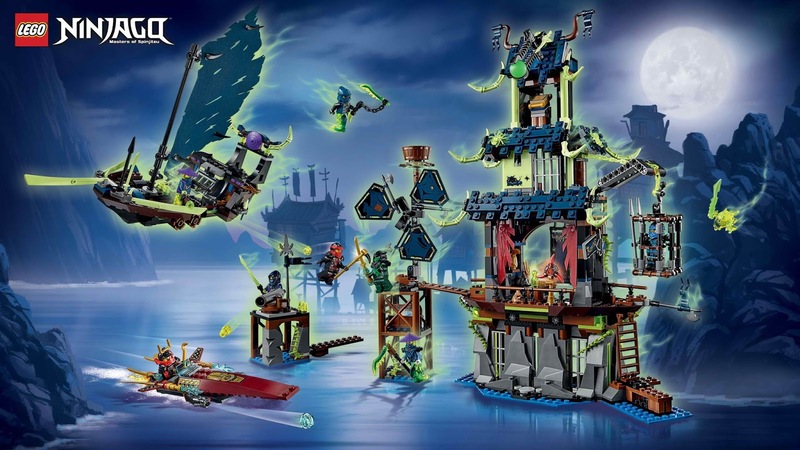 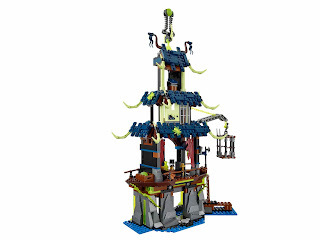 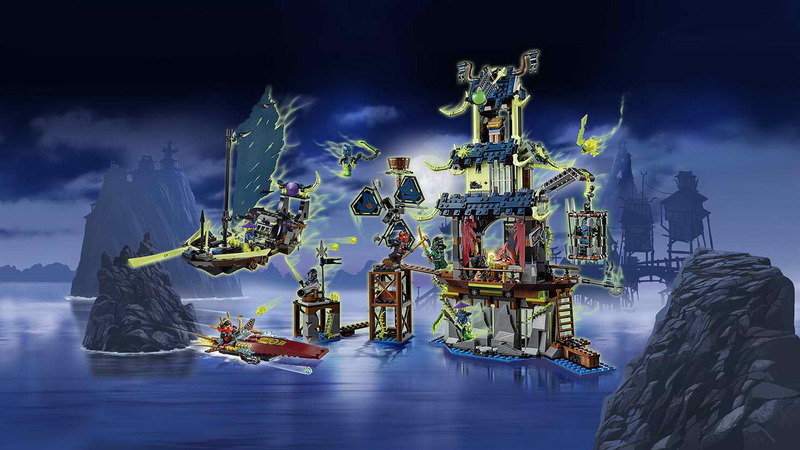 the temple has a docking station, an adjustable crane with openable ninja prison cage, a secret openable mountain wall entrance, a hidden skeleton, a shop with aeroblade, assorted weapons, a secret book, crystal elements, a guard room with trapdoor, a plus table, a chair, a cup, a bottle , scroll of airjitzu elements, a rotatable rooftop ghost bomb shooter and transparent green spiders. 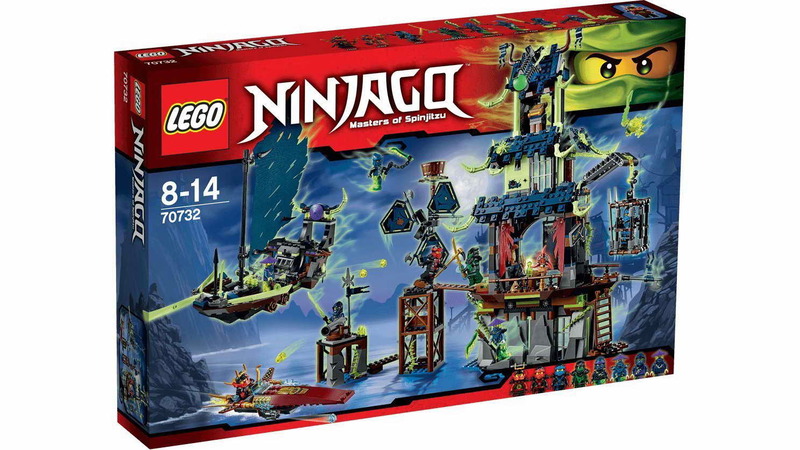 the ship has a big movable fabric sail, 4 stud shooters, barrel of tools and a ninja prison. 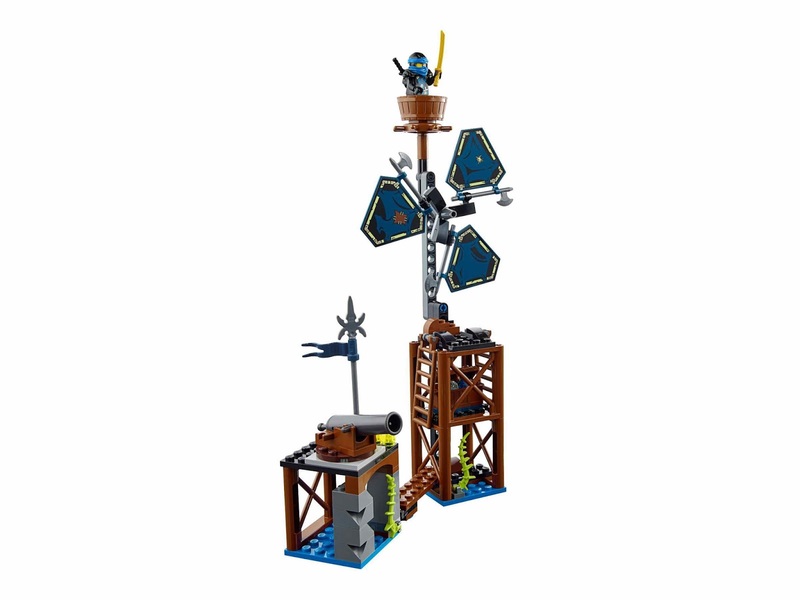 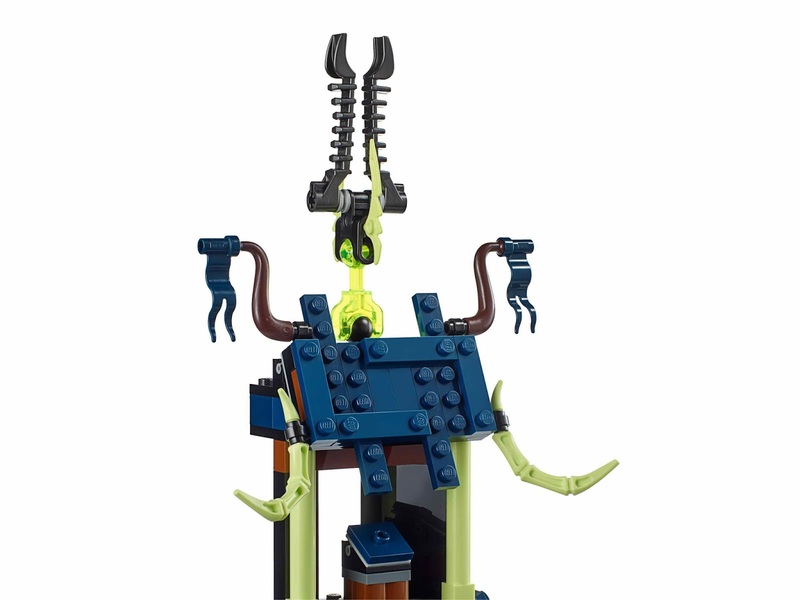 the outpost has a windmill with rotatable axe blades, a adjustable ladder, a treasure chest, a walkway and a rotatable ghost bomb cannon. 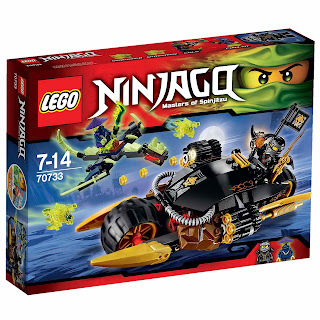 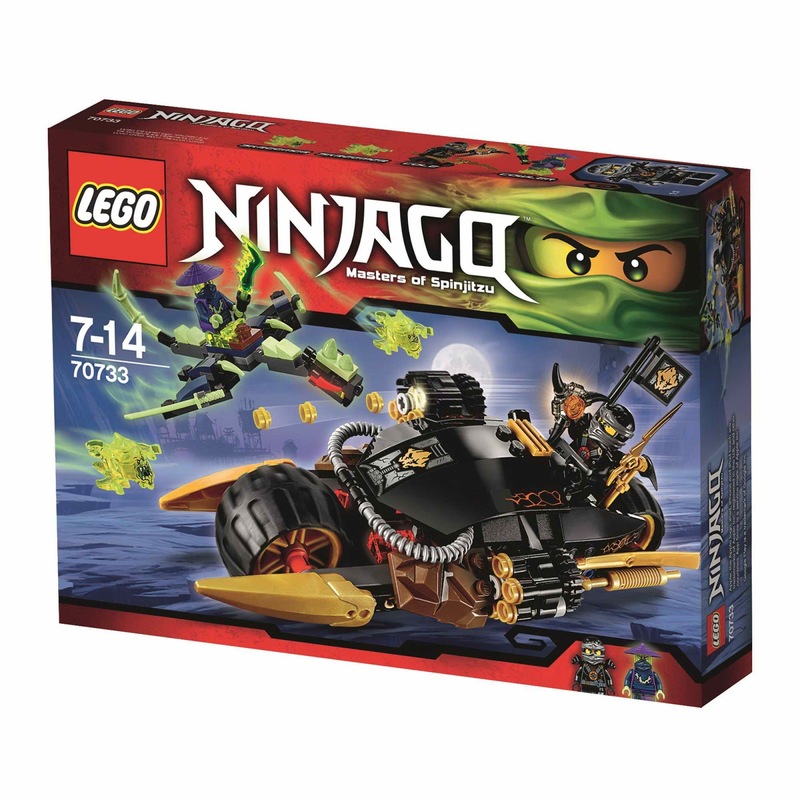 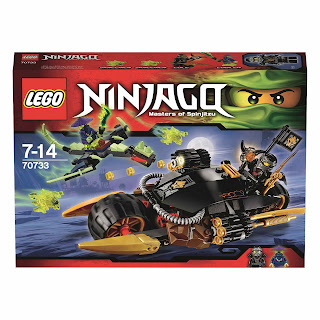 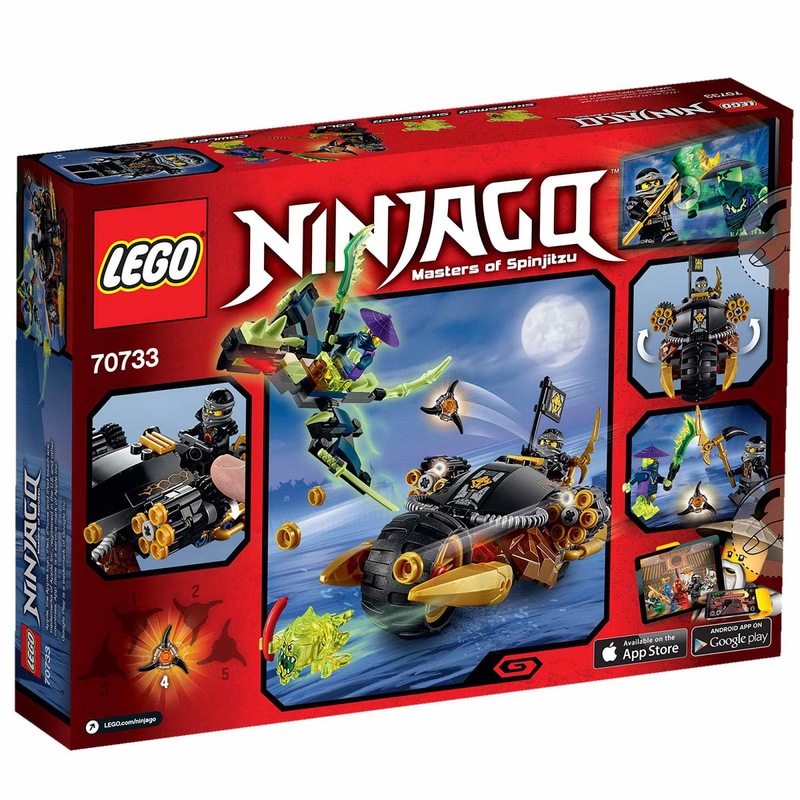 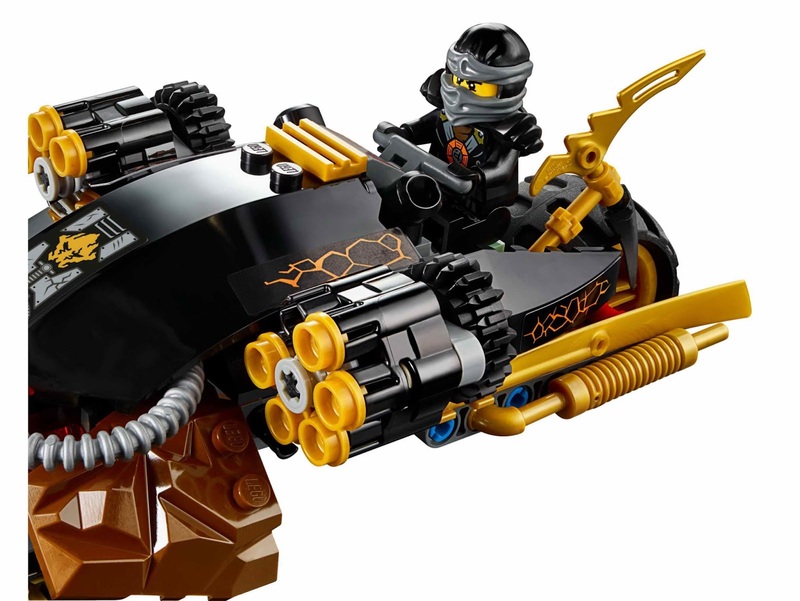 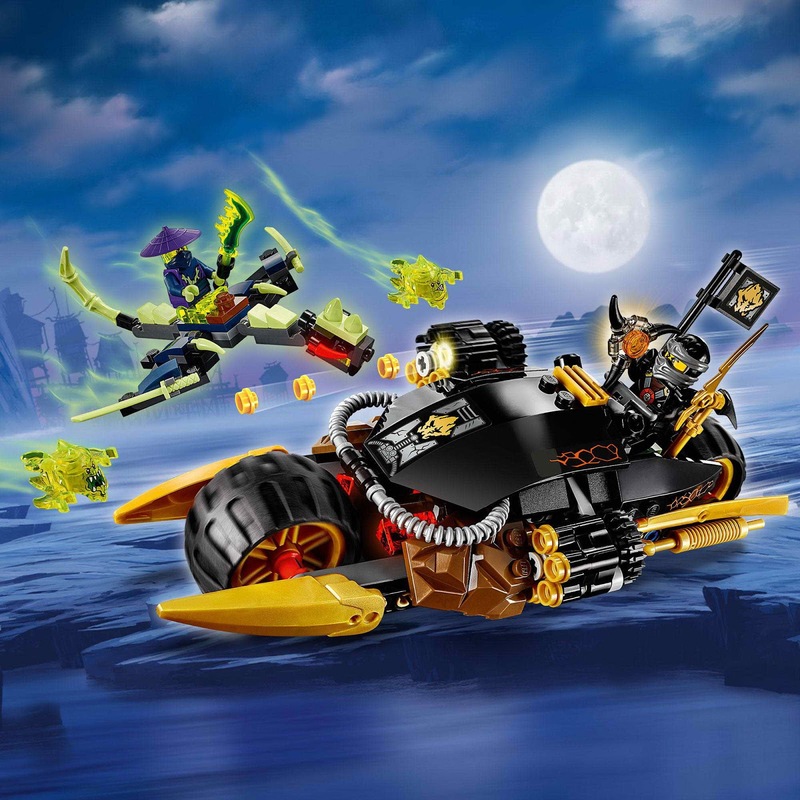 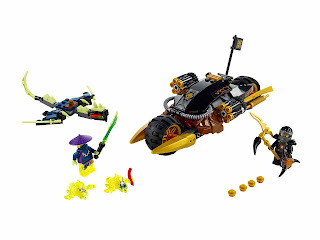 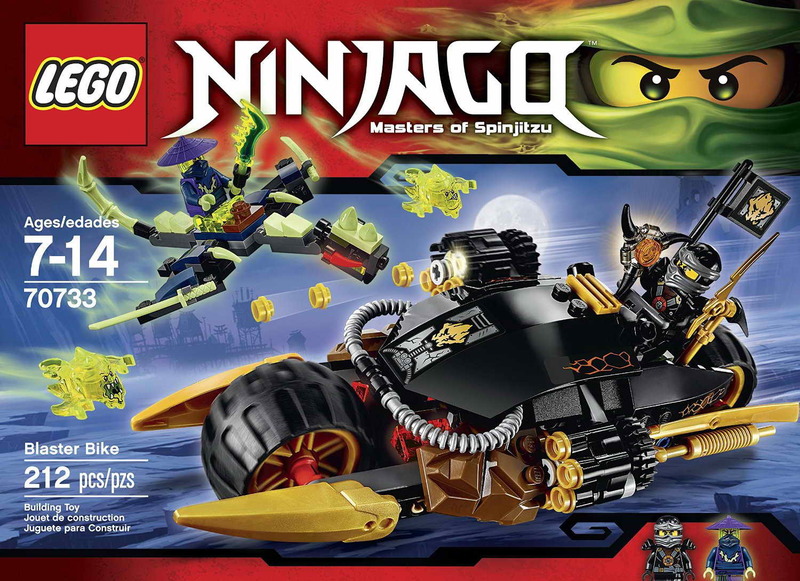 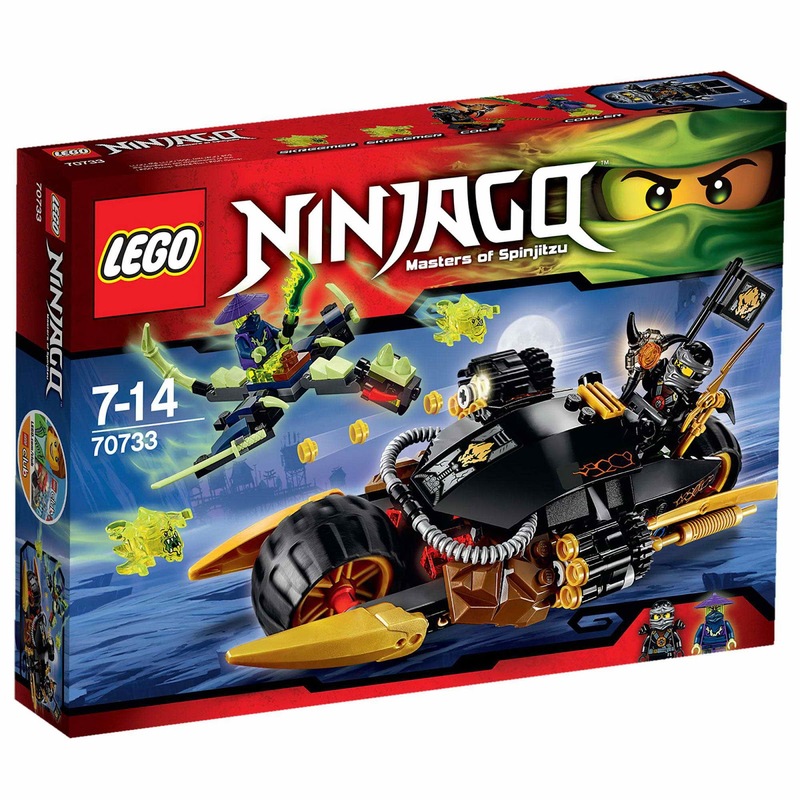 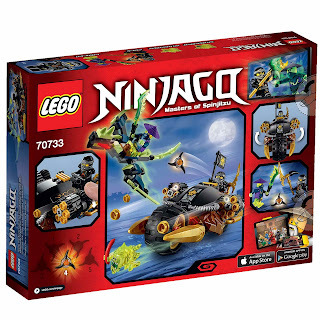 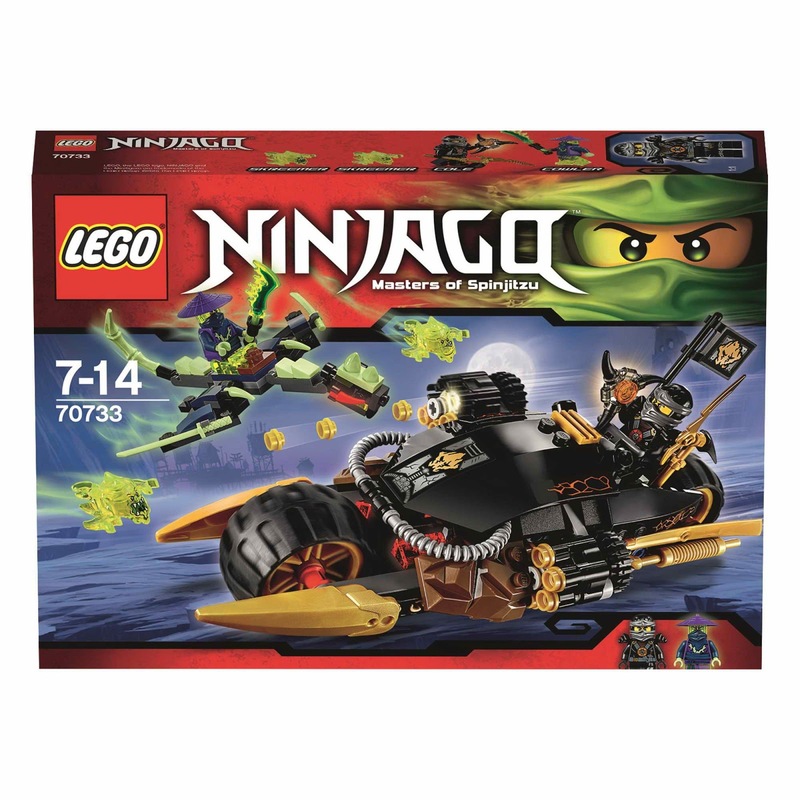 the speedboat has 2 stud shooters, 2 detachable swords, golden ninja blade details and a transparent flame exhaust. 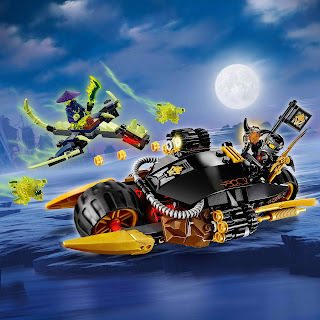 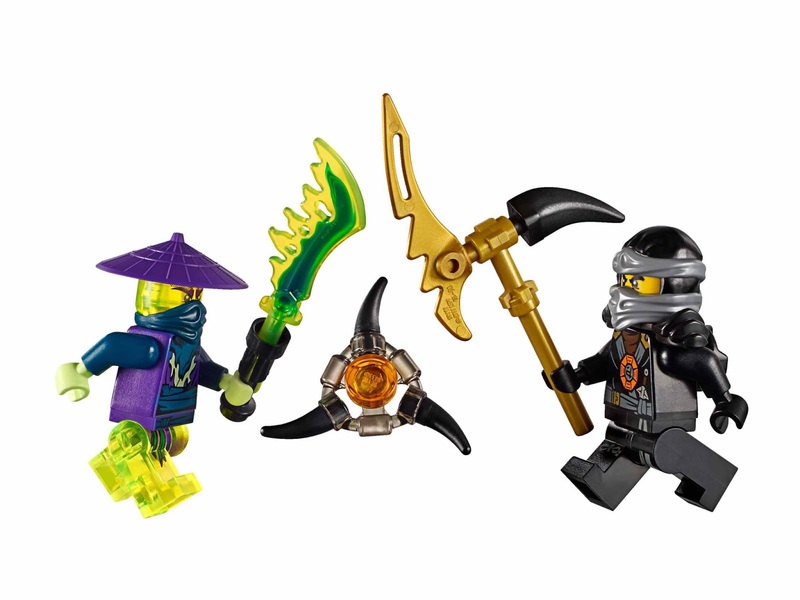 weapons included 2 golden katanas, 2 deepstone katanas, kai’s deepstone scythe, nya’s crowbar, evil green ninja’s sword of sanctuary, wrayth’s ghost master blade on a chain, ghoultar’s scythe ghost master blade, cyrus’ crossbow and ming’s ghost energy blade. 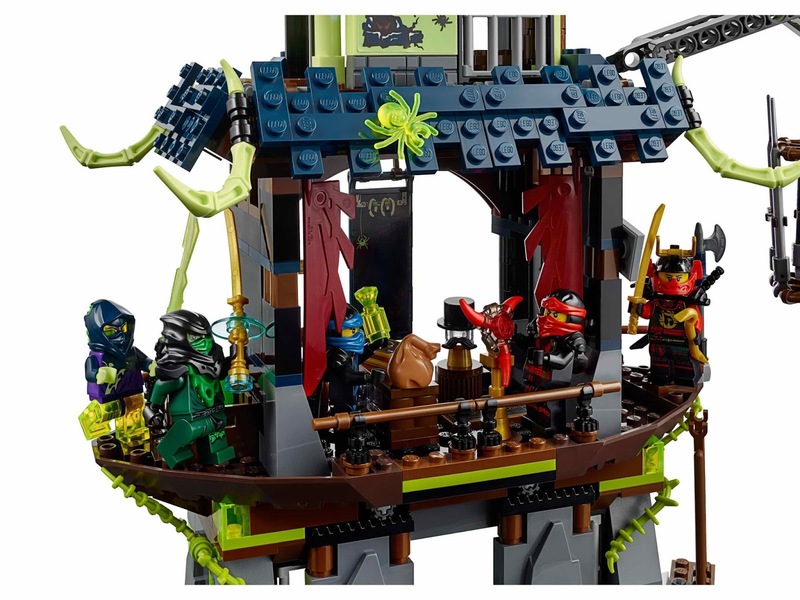 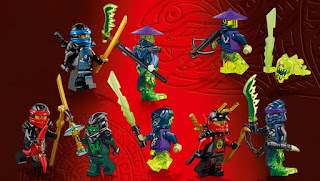 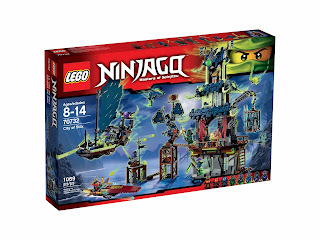 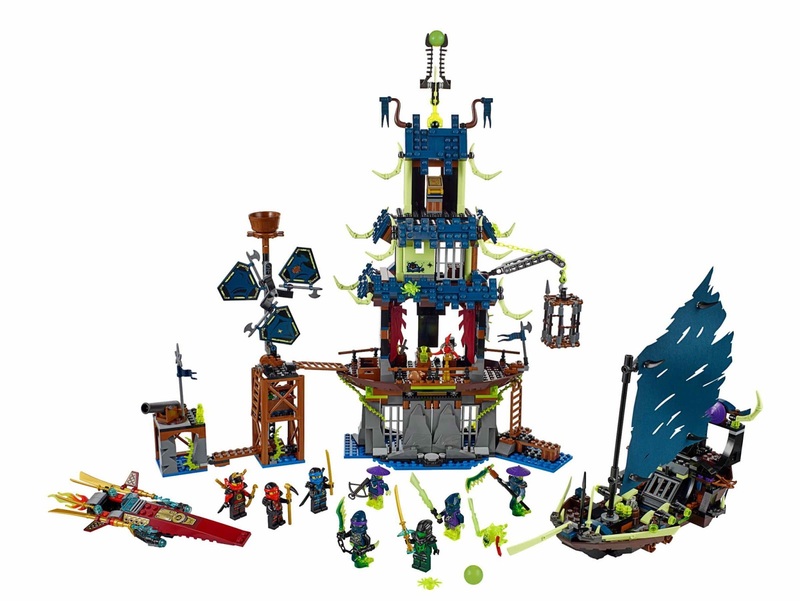 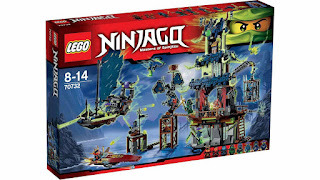 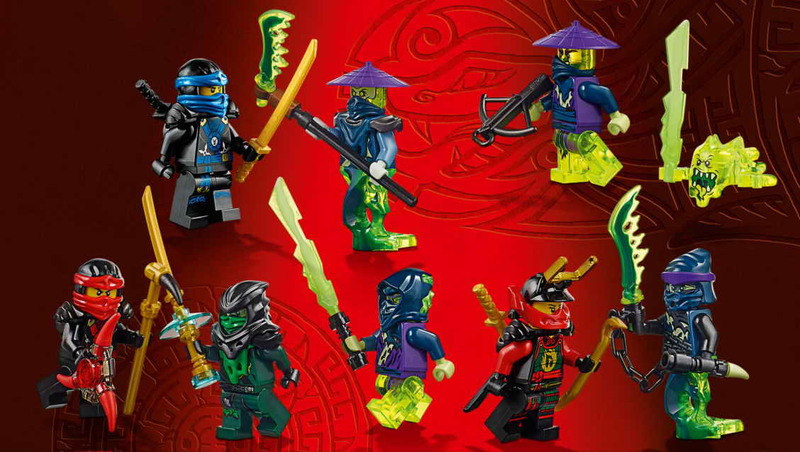 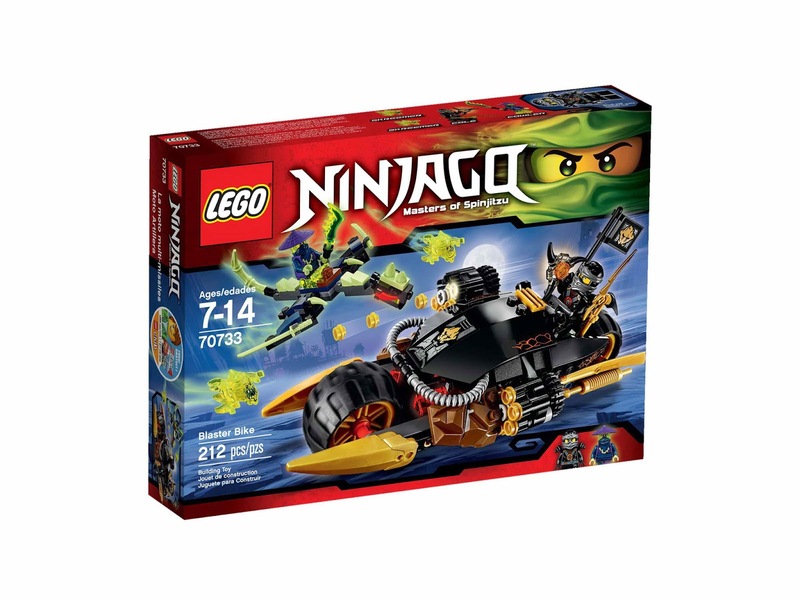 minifigs included a kai minifig, a jay minifig, a nya minifig, an evil green ninja minifig, a chain master wrayth minifig, a scythe master ghoultar minifig, a ghost warrior cyrus minifig and a ghost ninja ming minifig.